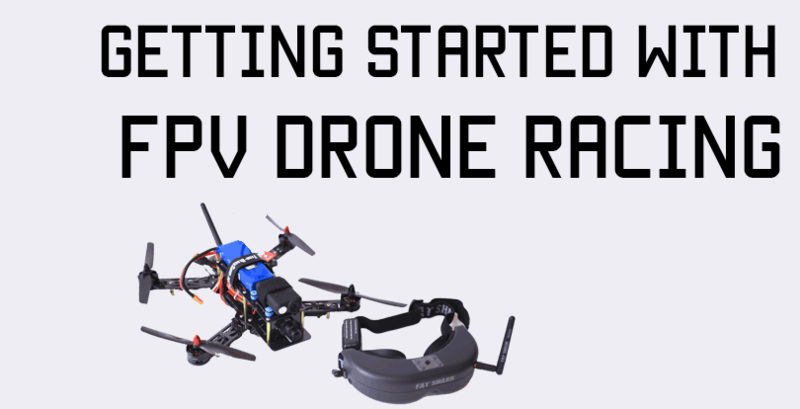 The FPV hobby can be very hard on your wallet at times! Goggles are no exception – decent goggles can cost as much if not more than an entire quadcopter setup, so if you are on a tight budget, you may find yourself not able to get high end Fat Shark or SkyZone goggles. 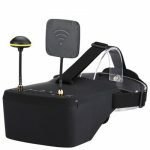 However, there have been a whole lot of new, affordable, low cost fpv goggles available on the market thanks to increasing demand, all of which are under $150 and still give decent performance. I’m going to be examining them in this post. 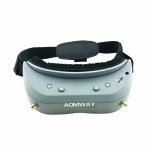 If you are not on a budget – Check out these high end FPV goggles. Note: Remember to get a good camera, too! 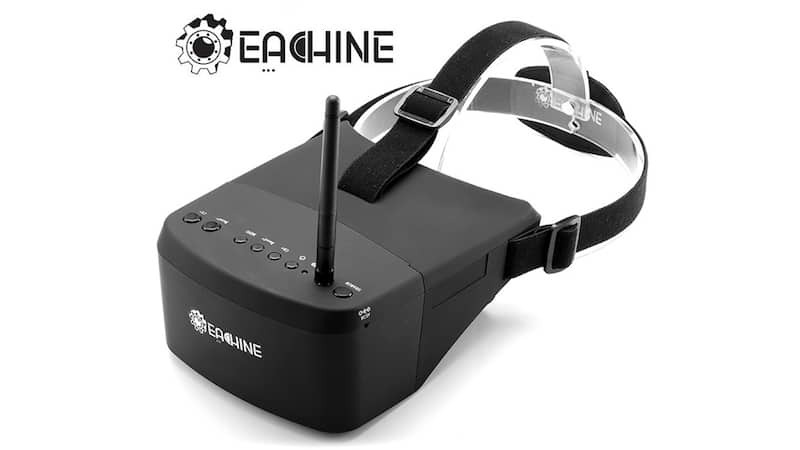 The Eachine VR D2 is one of the many affordable fpv goggles Eachine has released over the past few months. 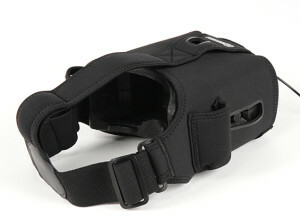 It is a 5 inch box style goggle with an 800×400 resolution, not unlike the Quanum goggles. 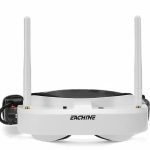 The Eachine VR D2 has a DVR and diversity receiver built in. A diversity receiver receives two signals and automatically switches to the one with the best reception, so if you are flying in a densely wooded area, a directional antenna on one side and an omnidirectional antenna on the other can do wonders for your video signal. Aside from that, the receiver is 40 channels, which include Raceband, and at 6 inches across, they’re fairly compact. They are usually priced at $99.99, which is a lot of value for your dollar in terms of what you’re getting. 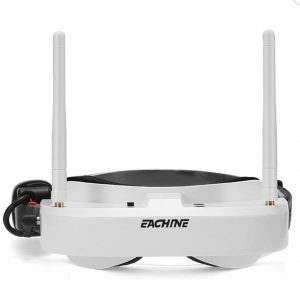 The Eachine EV800 is another impressively priced set of goggles at just $79.99. For $80, you’ll get a 5 inch screen with 800×480 resolution, pretty standard for FPV these days, with a single 40 channel receiver that includes Raceband. The EV800 does not have a DVR built in. The really cool thing about the EV800 is that they are detachable into two parts, so you can remove the part that rests on your head and mount the screen on a tripod for some mixed LOS/FPV too. That was some pretty neat thinking on Eachine’s part. The battery is a built in 2000 mah battery which you’ll charge using the included cable. I’m a little iffy about a battery you can’t remove, but these goggles can also accept external power up to 3S as a backup battery, so that’s OK. 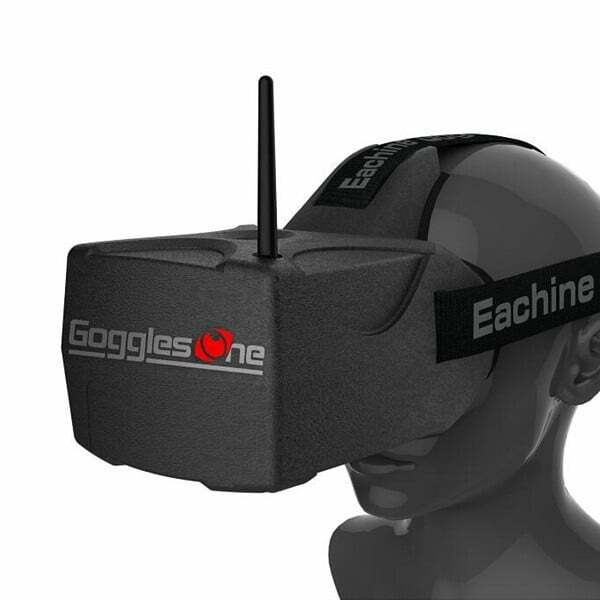 The Eachine Goggles One are the Banggood version of the HeadPlay HD goggles which I’ve reviewed here. They are full-HD goggles with a brilliant 5 inch 1080p screen. The form factor is very similar to that of the HeadPlays, except these are just $130 compared to $250 for HeadPlays. 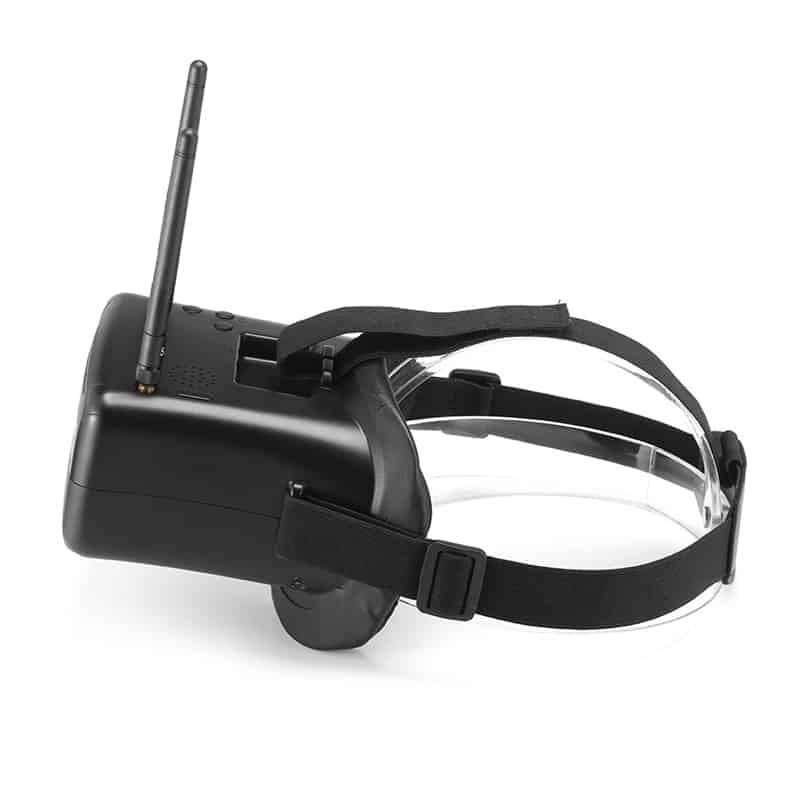 Along with a standard 40 channel 5.8 ghz receiver, you can also plug in an HDMI input to your goggles for a cinema-like VR experience. Although given the current state of FPV, you’re not going to need HDMI unless you’re using the Connex Pro system, which is another $500. The HD screen is really a bonus and only necessary if you are planning on getting the Connex system in the future or if you want to use the goggles for watching movies and TV. If you just want something good for FPV, the other goggles I’ve listed here are just as good. 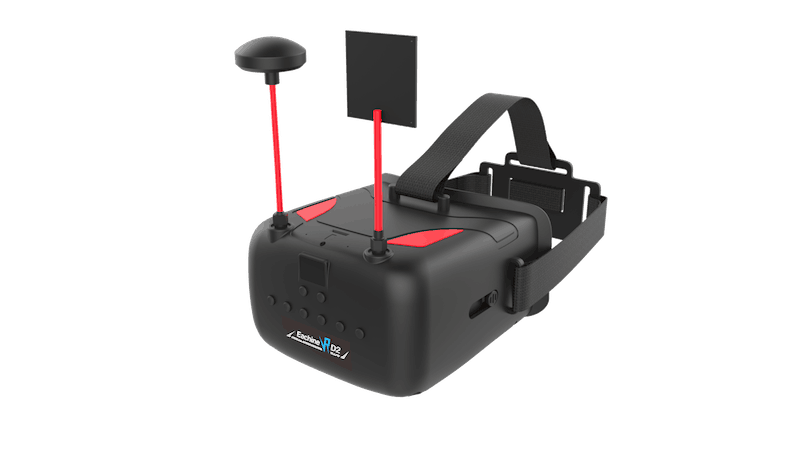 The VR008 by Eachine is a budget dual-antenna(built to amplify, NOT true diversity) setup with a small 4.3 inch screen. I think the smaller screen will be very noticeable especially since you are still wearing a pretty big box on your face. The resolution is also lower at 480×272, but for less than $50, that’s what you can expect. To be completely honest, the only reason I’d get these goggles and not any of the other ones I’ve listed here is if you feel the larger 5 inch screens will be too bulky on your head. If that’s not the case, then an extra $10-20 will get you a much better feature set. The KDS Kylin goggles are quite similar to the Eachine EV800, except they’re made by a different label. The major difference is that these have a full band 64 channel receiver built in. 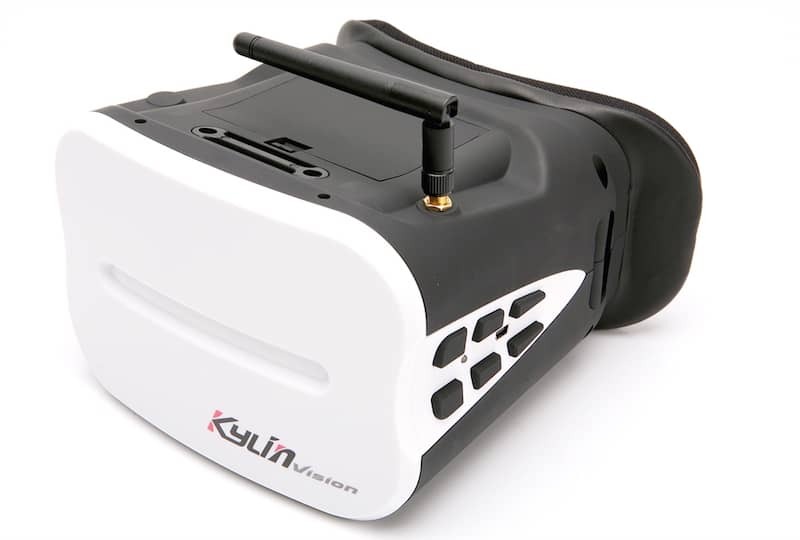 Like the EV800, the KDS Kylin goggles also have a 5 inch screen with an 800×480 resolution. 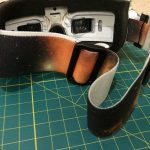 The “original” low cost FPV goggles, the Quanum DIY kit from HobbyKing is basically a screen, two blocks of foam that fit over the screen, a fresnel lens to help you focus, and a sleeve with straps that fits over the foam blocks to hold everything together and on your head. For $38, you’re getting a pretty sweet deal. 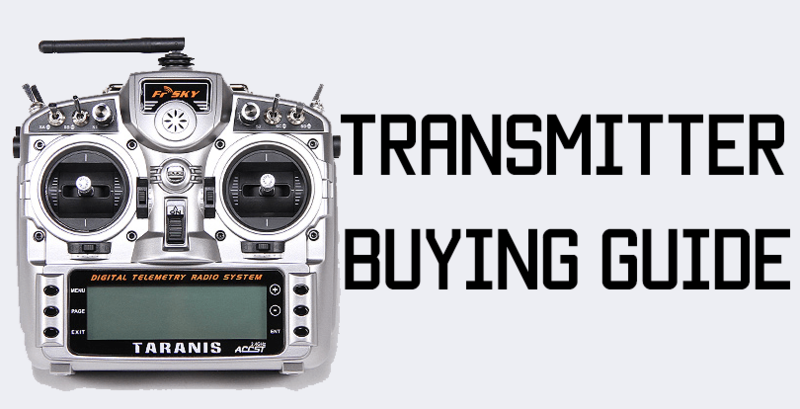 Although you will need an FPV receiver($15-30, depending on where you buy from) and a 3S battery(which you may have lying around, or can find anywhere). That would bring your total cost to around $80-90 for a highly modular set of goggles which have a huge cinema-like screen(800×480 pixels, pretty good for FPV). I’ve flown with my friend’s goggles and I actually have to move my eyes around to take everything in. Some people are big fans of the box type goggles(as opposed to more compact Fat Sharks) and swear by them. 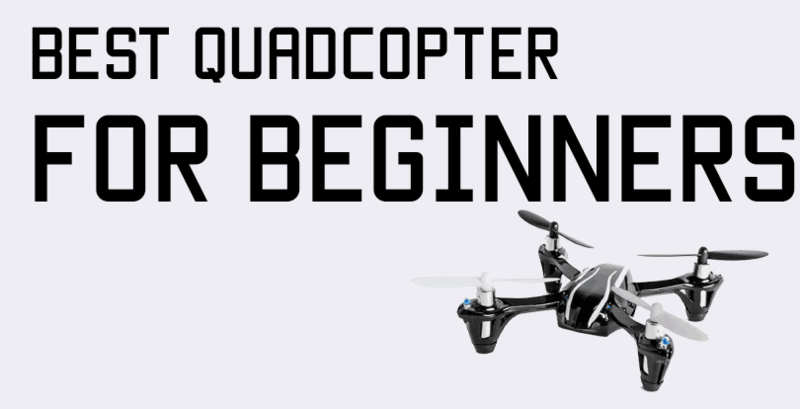 However, you can fly really well with practice even using just the Quanums. Great article man! But you gotta date these articles! If there’s no date, we as readers have no way of knowing if we are reading about yesteryear’s technology. Especially in a hobby that is so quickly evolving. Great comment! I’m here in 2018/July and can’t tell if we are talking about newer tech or stuff a couple years old. Most of these goggles have indeed been around for a while but it’s still the top stuff on Banggood. None of the newer less expensive goggles have really done well and not many are available besides these.